Rapasi Tile and Marble, Inc.
We have been in business for 20 years servicing the Michigan area. 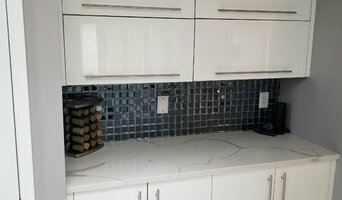 We specialize in blacksplash and tile installation. Give us a call for a quote! Family owned and operated for over 24 years, New View Resurfacing has been providing customers with a high quality, economical alternative to replacement. Specializing in residential and commercial projects, we offer a wide array of options to fit your bathroom and kitchen remodeling needs. Serving Metro Detroit and surrounding areas since 1988. Residential and commercial ceramic tile, marble and granite installation. Over 30 years of experience. Please call for a free estimate. We are your one stop shop for all your granite and marble needs. We’ll complete the job professionally and in a timely manner. Give us a call today! Nicks Tile & More is focused on providing high-quality service and customer satisfaction - we will do everything we can to meet your expectations. With a variety of offerings to choose from, we're sure you'll be happy working with us. We treat every home as if its our own. This means every home gets the highest attention to detail and every job that is completed is a work of art that you can be proud to showcase. Our Story Globally sourced. Locally owned. For over twenty years, World Stone has endeavored to produce the highest quality countertops from our world-class stone slab collection. Our team personally selects unique stones from across the globe, formed over billions of years and carved out to be utilized for your home. Our designer showroom features, among other countertop materials, the finest granite and quartz colors available in full-slab form. After you choose the exact stone you would like for your home, our local production team utilizes advanced, digital machine technology to form the most accurately-measured countertop possible. 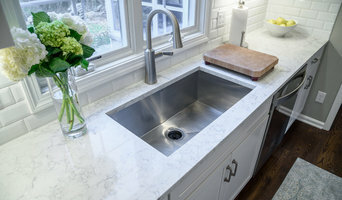 Our team prides itself on offering the complete countertop experience—from our fully-stocked slab collection to advanced machine fabrication to efficient, professional installation—all under one roof. Whether you are building a new home or replacing existing granite, laminate, or solid surface countertops, we are excited to help you find the perfect stone for your new project. Every countertop World Stone curates and installs has its own unique story to tell. Humanity itself has grown in its presence. Grand civilizations have formed and collapsed on its surface. Its veins mark the generations of change it has endured. And now, in its new home, children will play, adults will work, good times will be shared, and bonds will be formed at the table it rests on. You will write the next chapter of this stone’s story, and we are honored to help you get started. Showroom hours are Monday, Tuesday, Thursday & Friday 9:00am - 5:00pm, Wednesday 9:00am - 7:00pm and Saturday 9:00am - 1:00pm. Romano Granite is a granite company with over 17 years of experience in granite, marble and tile installation, Romano Granite offers quality and satisfaction. We specialize in granite, marble, tile, kitchen, bath, fireplace, floors and more… We know it’s important that our customers get the best quality available at a very affordable price. We look forward to hearing from you for a free estimate. We provide a variety of services to create a custom experience for all of our clients! Rotunda Marble And Stone Care is Dearborn / Detroit Michigan metropolitan area’s leading service company in stone and tile cleaning, maintenance and restoration. We offer specialized services in marble, granite, travertine, terrazzo and other natural stone surfaces. We also offer concrete polishing and tile and grout cleaning, sealing and color sealing services. At Luxury Tile & Marble LLC your project is our priority. Having been in business since 1991, we have earned a reputation as a trusted tile and stone fabricator. When it comes to tile and granite companies in Rochester MI, nobody can simplify the process quite like Luxury Tile & Marble LLC.